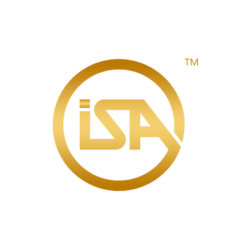 We are International Solar Associates, comprised of executives, solar energy consultants and other business development/sales minded professionals who enjoy showing our clients how easy it can be to switch to solar energy. Leverage your own personal network today and capitalize on today's fastest growing industry - solar. You would have the ability to earn referral commissions in all markets including residential, small business, and commercial/industrial entities across all fifty states, Canada, and Mexico (open to other countries as well). Currently seeking expansion into Latin American markets. If you have an existing client base of any kind, we will show you how to leverage this to the fullest and have you partake in the #1, fastest growing industry in the USA. If you have contacts willing to lease or sell their land in order to turn that land into a solar farm or utility scale project, we can help with this also. Focus markets internationally include large scale utility scale projects such as solar farms, community solar, and very large solar energy production facility project types and energy efficiency projects. **No Experience in Solar is needed or required. ** All you need to do is (A) acquire utility bill/bills and contact information. It's as easy as that, or, even easier (we can share how later)! Those with strong relationships/networks (regardless of experience) have the opportunity to leverage the industry for themselves successfully.